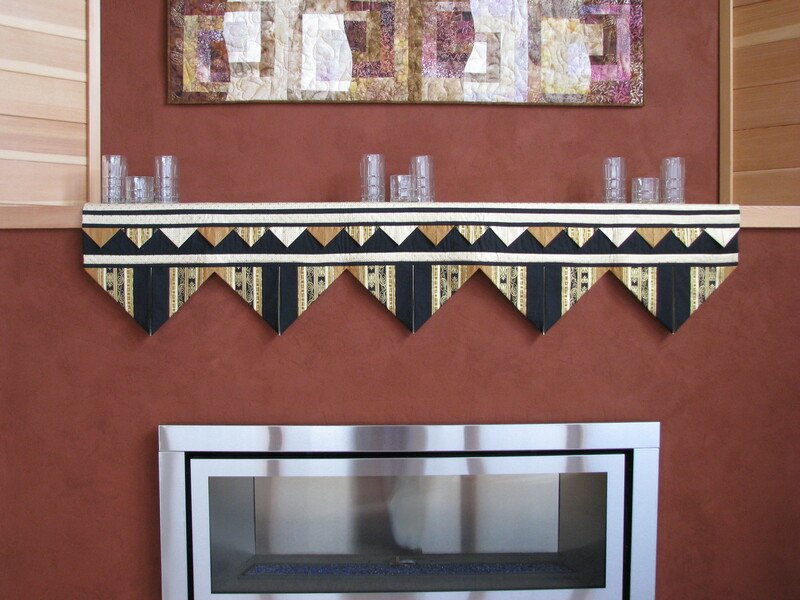 I have just published the pattern for my fireplace mantle runner and the matching table runner and placemat. The mantle runner is shown below; photos of the table runner and placemat, plus the link to Pattern Spot where you can buy the patterns are shown on my Pattern page. This entry was posted in Contemporary Quilts, fireplace mantle runner, placemat, Quilt Patterns, table runner and tagged fireplace mantle runner, placemat, prairie points, striped fabric, table runner on May 26, 2013 by Shirley at Mystery Bay Quilt Design. Nice setting for the photo, Shirley!